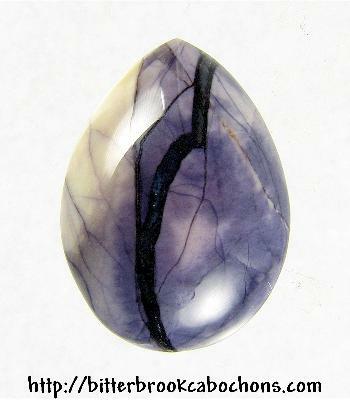 This tiny teardrop cut Tiffany Stone cabochon started out as a big teardrop cabochon but I broke it. Twice! My loss is your gain. Or something like that. Cute! 18mm x 13mm x 4mm. Weight: 7.05 carats.